With elegantly distressed furniture and bare bulb lighting, the restaurant has a modern industrial feel. We settled in to one of the cosy window tables with views over the Montpellier district. 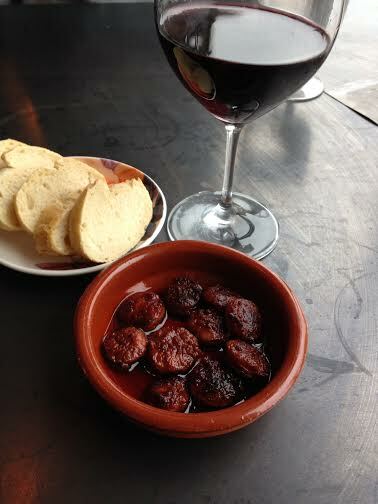 After ordering a sizeable glass of Rioja and the draught Andalusian lager we browsed the refreshingly simple menu. This features Iberian delicacies such as acorn-fed ham and Manchego cheese to start, followed by rotisserie chicken with various accompaniments and a tempting selection of cakes and tarts. Our starter of chorizo cooked in sherry was served with little rounds of fresh bread, perfect for mopping up the deliciously flavoured oil. Next came our main course of a half rotisserie chicken, served with skinny fries and a salad of Mediterranean tomatoes, topped with pomegranate and slivers of red onion. The chicken was moist, with crisp skin seasoned with just the right amount of spices. Pleasently full we decided against dessert, though their Moroccan orange and lemon cake sounded very tempting indeed. After a brief chat with the friendly co-owner we learnt that they are about to start serving breakfasts. They have carefully considered their coffee collection and have gone with a local roasting company from Leeds. Oh and they also do take out. 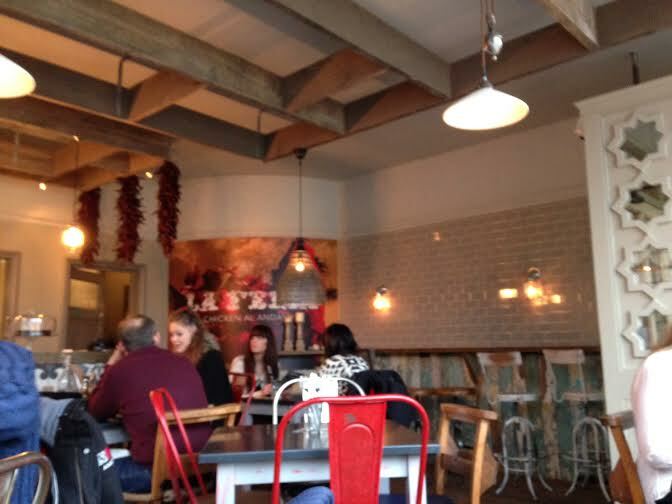 We’re excited that Harrogate has a new venue for lunch and it is definitely somewhere we will return to with friends. 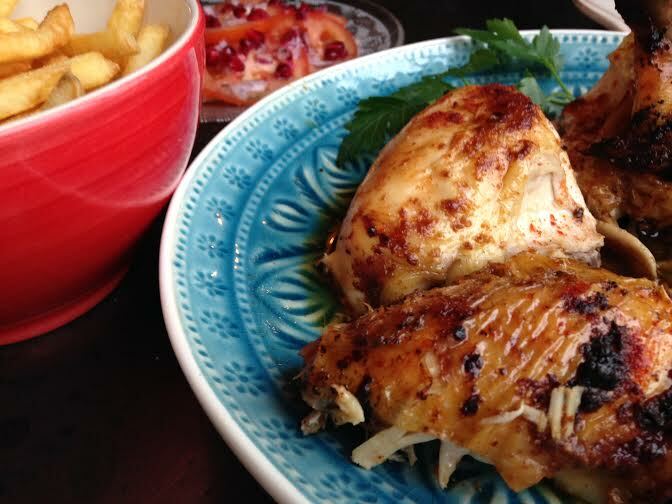 For simple food cooked well and a warm atmosphere you would struggle to do better. Heureux Novelle Annee to you and your followers. La Feria sounds perfect as does the food, well done on yet another fine post. Look forward to the next one. I love Spanish food and this all looks delicious. Will keep an eye for this place next time we’re in Harrogate.